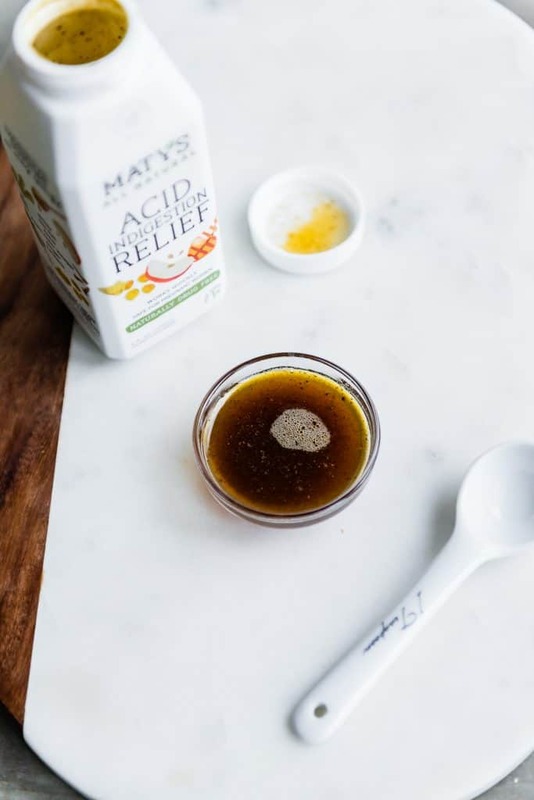 We’ve partnered with Maty’s Healthy Products to create this post. Thank you for supporting our sponsors! I’ve never met anyone who loves suffering from acid indigestion. That’s not a thing, right? It’s pretty miserable to experience heartburn–and for me, it’s practically inevitable. (Sigh.) It started when I was pregnant with my oldest child and it never went away completely. It’s kind of guessing game when it’s going to hit. When the lower esophageal sphincter at the bottom of the stomach doesn’t close properly, stomach contents, including harsh stomach acid, can back up into the esophagus. This causes pain, burning, and discomfort. Heartburn may be caused by any number of things. Even though there are dozens of prescription and over-the-counter medications on the market, taking the natural route whenever possible is a good idea. Over the years I’ve learned a few all-natural ways to combat heartburn and acid indigestion by making lifestyle and dietary changes. 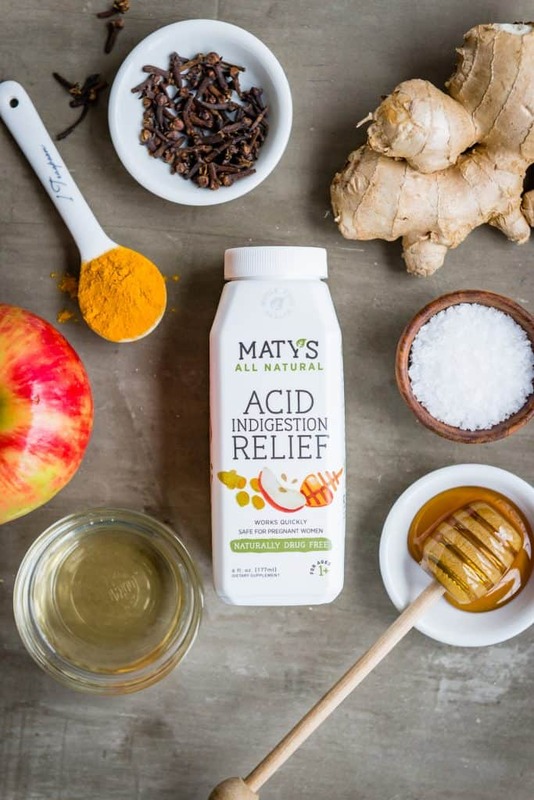 And more recently I’ve fallen in love with Maty’s All-Natural Acid Indigestion Relief. Lifestyle changes is an obvious, good place to start when trying to prevent heartburn. And for me, that started with keeping a diary so I could track which foods triggered the heartburn. For example, I learned that a spoonful of peanut butter before bed means I’m going to have raging heartburn around 2 am. Common triggers include fried and high fat foods, chocolate, caffeine, soda, sugar, tomatoes, onions, and junk food. Cigarette smoke and alcohol can also be a problem. It’s best to avoid these at least 2-3 hours before bed…which leads me to the next tip. Don’t eat or drink too late at night, especially heavy or rich foods. I know I can only drink water past about 8 pm and I have to stop snacking even earlier. Two to three hours is a guideline, but that time may be different for everyone and vary according to your own triggers. Your body needs time to digest your food before you lay down for the night. Make lunch your largest meal and go lighter at dinnertime. Eating smaller, more frequent meals may also be beneficial. Chewing your food well is a great tip anyway, but can also help prevent indigestion. Add more fiber to your diet to keep your digestive tract humming along. Chewing gum after a meal may also aid in digestion or help neutralize stomach acid. It’s best to avoid too-tight clothing, like waistbands or belts, or other clothing that constricts the abdomen causing acid to move upwards into the esophagus. Another nighttime tip: elevate your body from the waist up, or raise the head of your bed (blocks under your headboard, if possible!) if you suffer from serious heartburn. Gravity works! 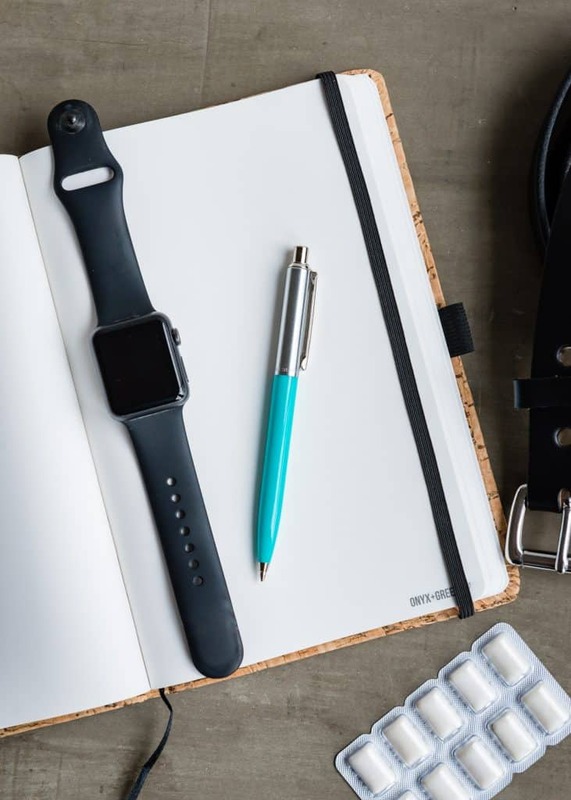 It may go without saying, but getting enough exercise and losing excess weight can make a difference, too, by helping relieve extra pressure on the abdomen and esophagus. Besides making lifestyle changes, there are some foods that can help prevent and combat acid indigestion. Chamomile and ginger tea are both great for calming the stomach and digestive tract. Bananas, sweet apples, celery sticks, and cabbage can help to minimize stomach acid. Eat after meals or a little before bedtime to create increase alkalinity in the stomach. Fennel seeds, like those colorful candy coated ones at Indian restaurants, are great to chew on after a meal. Almonds and mustard are other favorite natural remedies because they are alkaline. But sometimes, no matter what you do, heartburn hits. 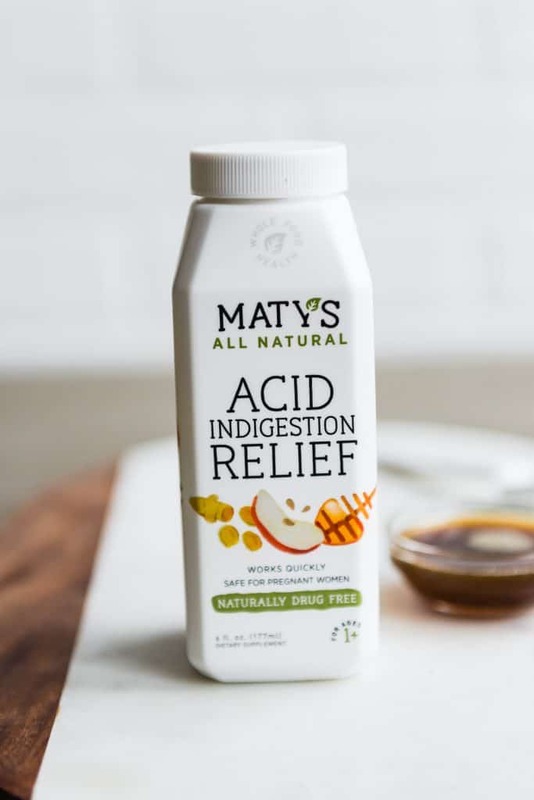 When you need to reach for an over-the-counter remedy, Maty’s All Natural Acid Indigestion Relief is the one to go for. 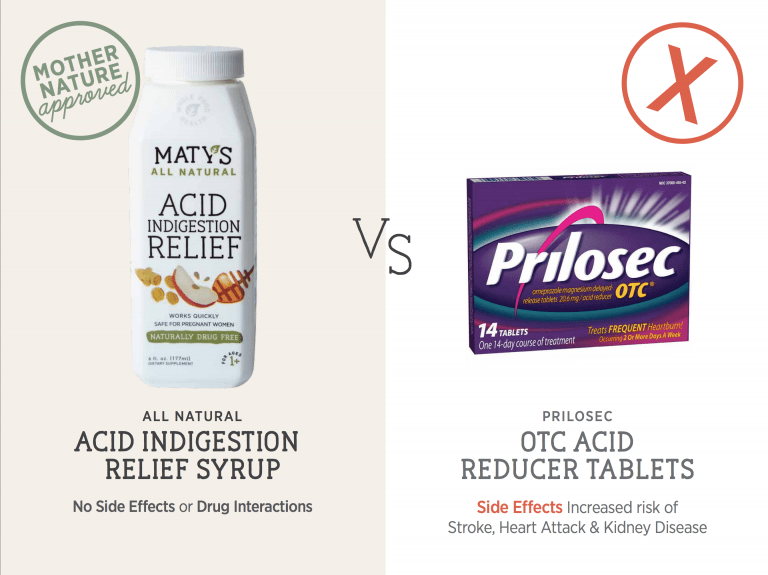 It’s 100% safe, with ingredients that are good for you and that naturally provide relief from acid indigestion. 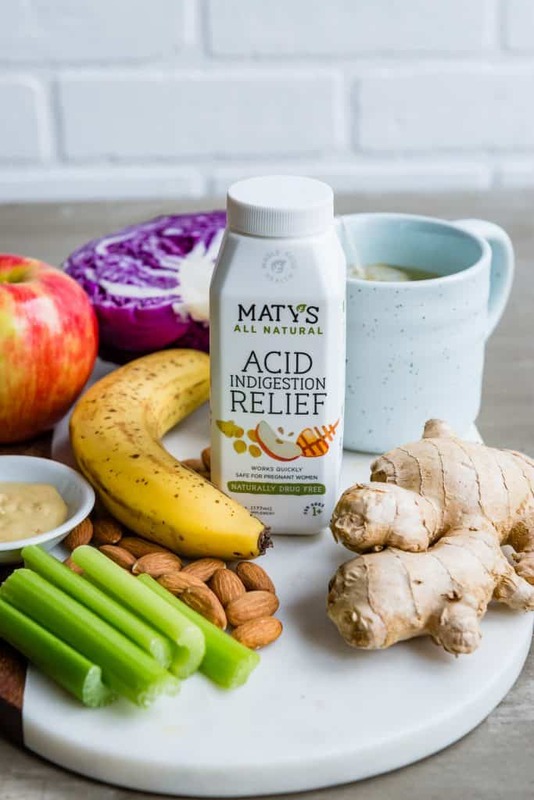 I was recently introduced to Maty’s All Natural Acid Indigestion Relief and as I was reading up about Maty’s, I learned something: sometimes heartburn can be caused by having too little stomach acid rather than too much. I find that fascinating! I have never heard that before, but it makes total sense to me. An imbalance of pH levels in the stomach can be relieved by ingesting apple cider vinegar and lemon juice. 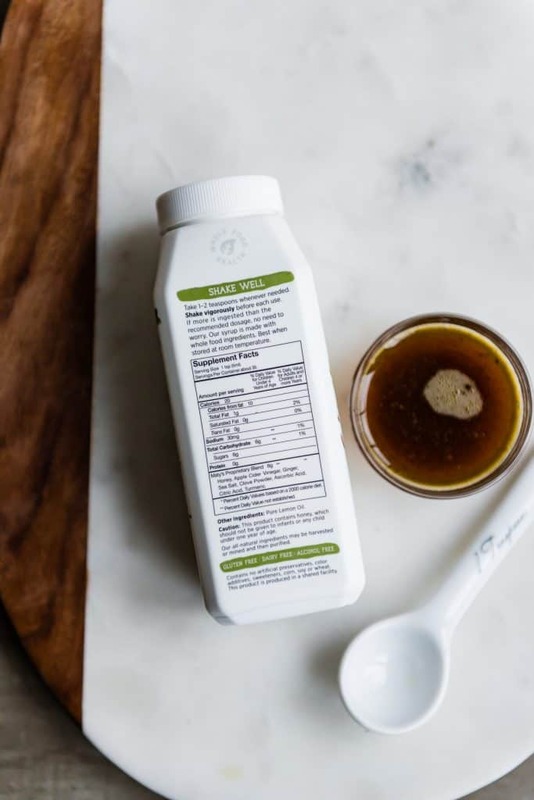 The ingredients are simple, natural, and it’s free from chemicals and other harmful additives. It also tastes really good, which is another plus! I love that their directions specify “Take 1-2 teaspoons at the first sign of symptoms or before a meal. Shake vigorously before each use. If more is ingested than the recommended dosage, no need to worry. 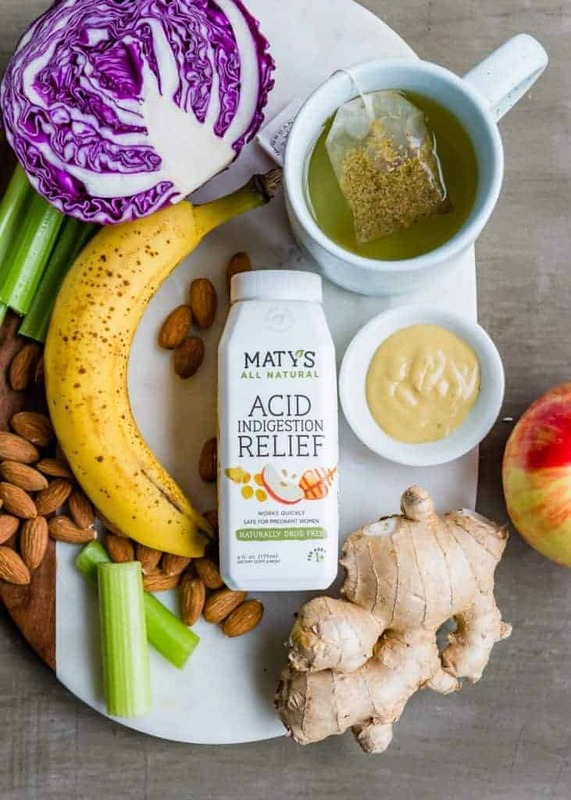 It’s made with whole food ingredients.” What other heartburn relief says that?! Maty’s is available at these stores and online retailers and pharmacies. I know my medicine cabinet will never be without it again!